These offers are free with the purchase of the Btwin Rockrider 100 (2016) Bicycle. The Btwin Rockrider100 (2016) features a steel frame with a rigid steel fork. The 24" wheels with bright white relcon street king tires are fast rolling and sturdy. 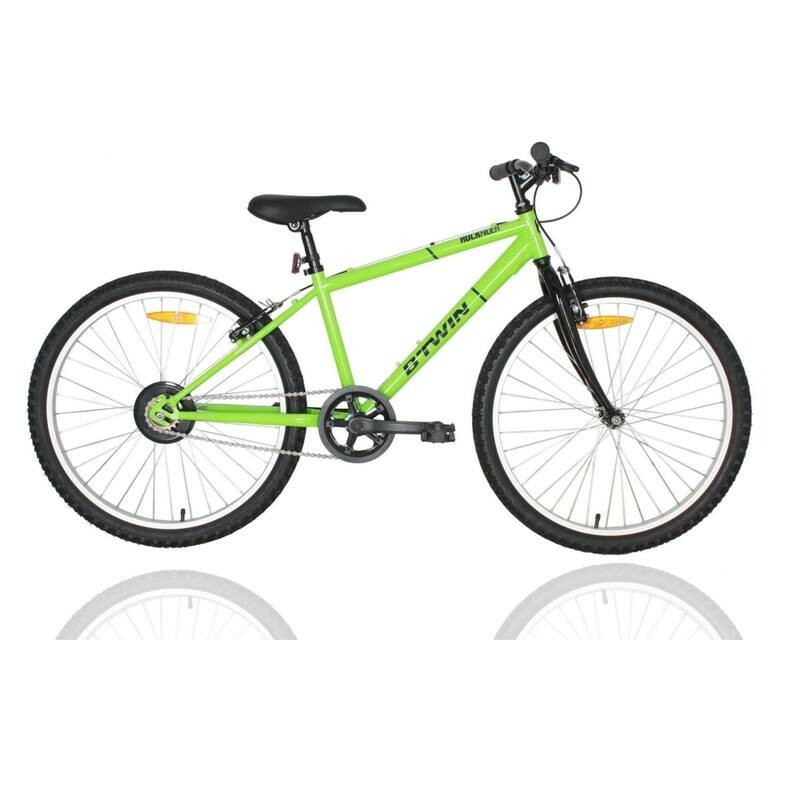 The Price of the Btwin Rockrider 100 (2016) is Rs.7999. The Btwin Rockrider 100 (2016) is a great starter bicycle for children aged between 8 and 9 years looking for a cycle for commute and fitness purposes. 2. In what condition will I get the Btwin Rockrider 100 (2016)? 6. How will I know if Btwin Rockrider 100 (2016) will fit me without riding it? 7. How long will it take for me to receive the Btwin Rockrider 100 (2016)?